When is it suitable – if ever – to use restorative justice in cases of domestic violence? This question has been the subject of heated argument for many years with some emphasising potential benefits for victim-survivors, while others respond that using restorative justice in such situations is to ‘gamble’ with women’s lives. The debate continues, largely because there is little detailed evidence on which to base discussion. In this article for the Restorative Justice Council, I suggest that at a very general level, restorative approaches are more likely to be suitable in cases of familial violence than those of intimate partner violence. If any case of domestic violence is being considered for restorative justice, it must be survivor driven and requires expert facilitators, specialist support for victim-survivors and perpetrators and extensive planning and preparation. And while restorative approaches are likely to be rarely used in such cases, if we are to listen to the voices of victim-survivors, we must be open to the possibility. Clearly, the police should not use on-the-street restorative disposals in cases of domestic violence – and for more info on my research with colleagues into the police use of restorative justice – follow this link to our research. But, properly planned and supported restorative justice might be suitable for some cases of domestic abuse. And, with the right professional support in place, victim-survivors should be given a chance to explore it as an option. For more discussion of these issues, see my work with colleagues Nicole Westmarland and Clarissa Humphreys recently published in the Journal of Gender Based Voilence – more info here and the research is sometimes free to download here. Policing Domestic Abuse – What Does ‘Justice’ Look Like? In 2015, together with Durham Constabulary, my colleague Nicole Westmarland and I organised a conference examining questions of justice and the role of restorative justice in cases of domestic abuse. 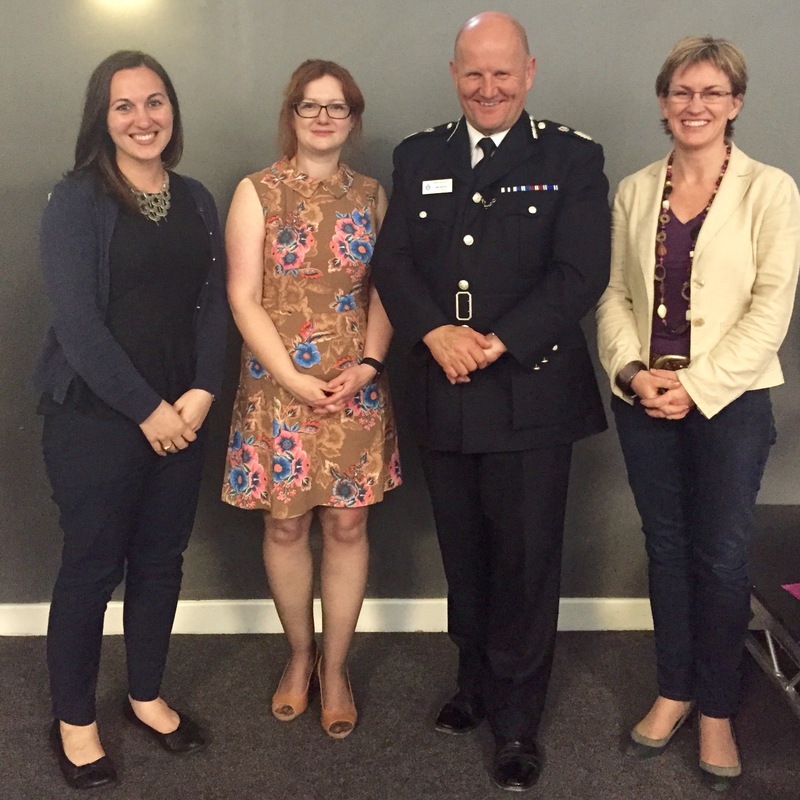 We presented research investigating how Durham police were using restorative justice in cases of domestic abuse. This research, prepared together with Clarissa Humphreys, has informed policy changes within the police and sparked important discussions on how best to support victims/survivors and secure justice.